Miami is a colorful city of extremes, where people and cultures from all over the world intersect in one of America’s most beautiful Oceanside settings. Finding the best Miami keynote speakers is a lot like finding the best club on South Beach – there are so many to choose from, how do you know which will give you the experience you’re looking for? And how can you be sure that the club’s reputation and looks will deliver high quality nightlife and be more than worth the money? The trick is to know exactly what you’re looking for, and to not settle for the first place you see. Heat – the speaker you choose should be able to ignite your audience with fiery passion and purpose. Flavor – your speaker should offer a unique flavor that’s innovative and different from every other speaker you’re considering. Color – Miami is a vibrant, colorful city that boasts dozens, perhaps hundreds of unique cultures. A run-of-the-mill speaker with limited experience in diverse settings just won’t do. Excitement – the keynote speech delivered by your speaker needs to be effective and memorable, but it should also be undeniably exciting for your audience (just like a trip to Miami!). Substance – beyond the flash and glamour of South Beach lies something deeper; a city of hardworking first, second, and third generation Americans who have infused Miami with nuanced culture and an ethnic texture unlike anywhere else in the world. The best keynote speakers Miami create presentations with all the heat, flavor, color, excitement, and substance of the city itself. 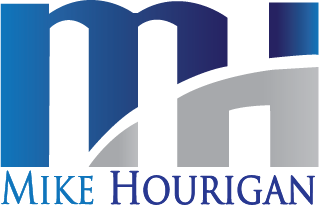 Mike Hourigan is a Miami Keynote Speaker, Author and Consultant who specializes in leadership training for large and small companies.